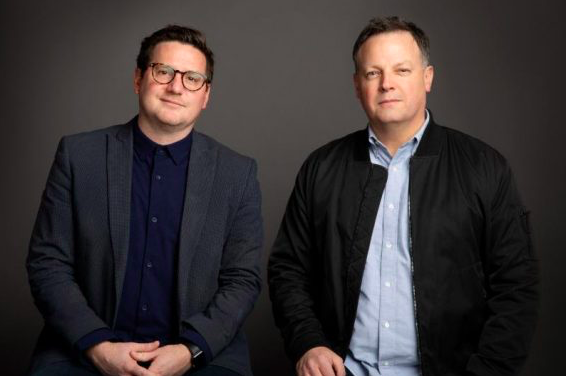 NASHVILLE, February 26, 2019—Highly-regarded Christian Music executives Brad O’Donnell and Hudson Plachy have been promoted to Co-Presidents of Capitol Christian Music Group (CCMG), it was announced today by the company’s Chairman & CEO Peter York, to whom both gentlemen report. In their expanded roles, O’Donnell and Plachy now oversee all day-to-day aspects of CCMG’s creative and financial matters, while continuing to manage the company’s market-leading Label Group – which includes prominent Christian Music labels Sparrow, Forefront, Motown Gospel, sixsteps, Hillsong and Jesus Culture, among others – as well as its market-leading Capitol Christian Publishing division. They continue to work closely with York to identify and implement label strategy and support the ongoing development of CCMG’s mission to impact lives with quality and compelling music. Both O’Donnell and Plachy are based at the company’s headquarters in Nashville. O’Donnell, an 18-year veteran of CCMG, was previously the company’s Chief Creative Officer, having been promoted to that position in 2017. He continues to lead CCMG’s label team with Plachy and is responsible for all A&R and Creative-related strategic objectives, as well as overseeing A&R Administration and the Creative staff for the company’s recorded music and music publishing businesses. O’Donnell now adds full oversight of CCMG’s publishing division to his portfolio, with General Manager of Publishing Casey McGinty now reporting directly to him. He will also work directly with CCMG’s Vice President of Business Affairs Joe Brazil in structuring deals and maintaining productive business relationships with CCMG’s artists, writers and partners. Plachy, a 17 year veteran of Capitol Christian Music Group, was promoted to Chief Marketing Officer in 2017 and continues to oversee Marketing, Streaming, Promotions and Commercial Partnerships for the company. He now adds oversight of CCMG’s Finance Department to his portfolio, with company CFO Chris Koon now reporting directly to him. Plachy will also continue to drive the company’s business development projects as well as its international expansion. O’Donnell has held A&R leadership positions at CCMG since joining the company in 2001, overseeing the Label Group roster and the production of numerous chart-topping projects at both radio and retail, as well as playing significant roles in the careers of numerous Platinum and Gold artists, including Chris Tomlin, Mandisa, TobyMac, and many others. He was also instrumental in the development of sixstepsrecords. O’Donnell previously served as Director of A&R at Word Records and earned esteem as a musician, songwriter and producer. He also earned a Master’s degree in Music from the University of Miami, Florida in 1995. Plachy began his career at CCMG in 2002, when he was hired as a marketing coordinator and worked on the team handling Steven Curtis Chapman, Nichole Nordeman and many others. He was promoted to Manager of International Sales and Distribution in 2008, liaising with the company’s worldwide affiliates to achieve global objectives for the company’s artists and projects. He was promoted to Director of Product Marketing in 2011, then Vice President of Marketing in 2015, and rose to Senior Vice President of Marketing in 2016. Plachy has been integral to the success of such key Platinum and Gold artists as Hillsong United, Switchfoot, TobyMac and many others. Both O’Donnell and Plachy have played significant roles in the development of global hip-hop star NF, whose 2017 album, Perception, has sold nearly 4 million adjusted albums and achieved more than 5 billion streams.